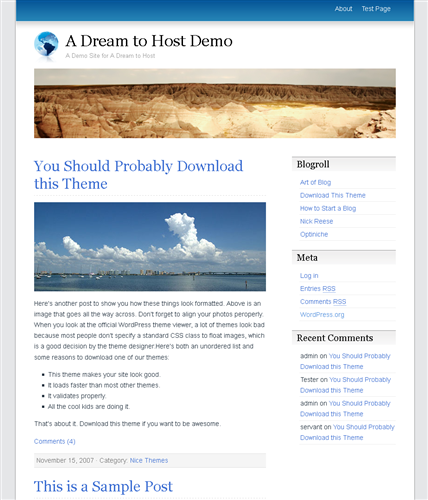 "A Dream to Host" is Art of Blog’s First Free WordPress Theme. It is inspired by Dreamhost’s 10 year anniversary. 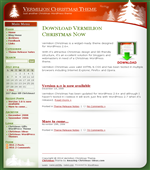 Here are some features of this theme: Extremely Fast loading, Widget aware, Easy to read, CSS/XHTML valid, Clean Code, Easy to modify, SEO Optimized, Built for WordPress 2.8+, Threaded Comments Ready, Photoblogging Ready, Threaded Comments, Gravatars, Paged Posts, Paged Pages, Comments on Pages.